For two centuries, Savile Row in London's West End has been leading the world in bespoke tailoring.Tailoring companies are now threatened by a lack of young apprentices entering the profession, as listed in the City of Westerminster Report on Bespoke Tailoring in London's West End in March 2006. Rising rents and business rates, along with the changing nature of the “Row”, have proved costly to the tailoring trade. Henry Bailey, the tailor's tailor, is one of the leading bespoke tailoring workshops. Our workshop is used by some of the UK and USA top bespoke tailors. The aim of Henry Bailey Bespoke Tailoring Workshop is to promote and preserve Savile Row bespoke tailoring craftsmanship & tradition, and to provide handcrafted individually made garments to bespoke tailoring companies. All our fully bespoke garments are individually handcrafted to the same high standard found in Savile Row without compromising make or quality and our work remain consistent throughout. 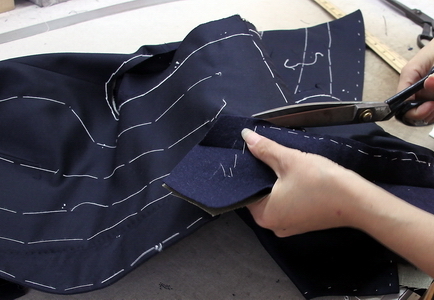 A minimum of 60 hours is solely devoted in the making a two piece suit by hand. Our workshop specialises in bespoke suits, overcoats, field sports (shooting jackets and plus’2s), morning coats, somking jacket, court dress and tailcoats including customised uniforms. 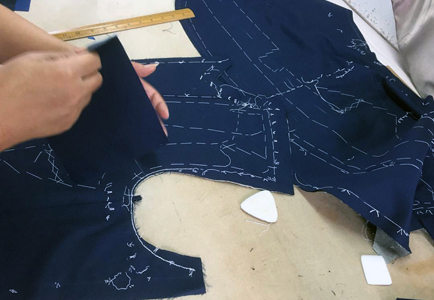 Henry Bailey Bespoke Tailoring Workshop has been providing high quality bespoke garments to London, Savile Row, New York, top bespoke tailoring companies for over 14 years. We offer a combination of make, trim and fit service for fully bespoke garments and semi bespoke garments. For some tailoring houses, we also cut when the customer's pattern is provided. Henry Bailey bespoke tailoring coat and trousers makers have been making bespoke garments for politicians, stars, TV presenters, celebrities and members of royal families. Copyright 2008 - 2019, Henry Bailey Limited, All Right Reserved. The Registration No.06842891 & VAT No.987612375.